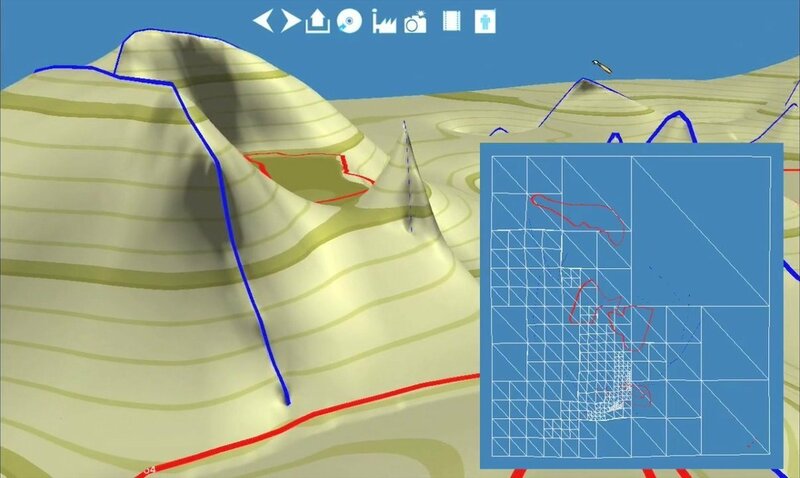 Abstract : Motivated by the importance of having real-time feedback in sketch-based modeling tools, we present a framework for terrain edition capable of generating and displaying complex and high-resolution terrains. Our system is efficient and fast enough to allow the user to see the terrain morphing at the same time the drawing editing occurs. We have two types of editing interactions: the user can draw strokes creating elevations and crevices; and previous strokes can be interactively moved to different regions of the terrain. One interesting feature of our tool is that terrain primitives can be interactively manipulated similarly to primitives in vector-graphics tools. We achieve real- time performance in both modeling and rendering using a hybrid CPU-GPU coupled solution. We maintain a coarse version of the terrain geometry in the CPU by using a quadtree, while a fine version is produced in the GPU using tessellation shaders.